The open source world is real and growing. 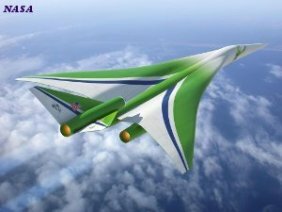 Individuals, Universities, Commercial Companies, and Governments, are amongst the contributors to the most exciting and inspiring undertaking attempted by we Humans. There are now in excess of seven billion individuals living on this Planet today. That is seven billion powerhouses of Human creative potential. We can all take part in this most extraordinary of enterprises that contains so much promise for a secure future. Given time, Open Source will prove to be modern Society's consummate leveler. The open source world is more than capable of harnessing the peacefully active brainpower of seven billion willingly voluntary minds. Achievable in no other way, this presents the golden opportunity to set right the multitude of wrongs Humans have committed in the past. These wrongs, while the majority were not necessarily committed with evil intent, were most certainly committed with ignorance. Open source knowledge sharing, intelligent willing cooperation, creative collaboration, and a genuine desire to further the Common Good, can coexist happily with the very Human desire to make a buck. Coincidently diminishing the incidence and deleterious impact of rank ignorance. With a positive attitude such as this, problems will be seen in their true light, as opportunities to make those dollars. Commerce is, quite simply, as essential to creating an equitable world as is sharing. We can see the faint stirrings of comprehension of the power of sharing in cognizant commerce. The fact that many Companies are working assiduously to implement the principle of cooperation into their “strategies” in an effort to survive and prosper, is a belated admission that sheer competition is a slippery slope to be operating on. Cooperation will become second nature within these companies with diligent practice. Endowing then with authentic advantage. Cooperative Creativity will out gun competition, any day. Add a little genuine collaboration to the mix and the folks involved will become acquainted with the tangible power of their minds. However, Creativity, and Collaboration, are shy fellows that flourish in a spirit of Harmony and Good Will. The Open Source World, in stark contrast to Competition, provides a perfect platform for cooperation leading to creative collaboration. This is a world that is populated by individuals who ardently believe freedom, both physical and psychological, is the essential plank that supports the complex infrastructure that enables we Humans to fully and effectively express ourselves. Nevertheless, this complex infrastructure falls into place effortlessly, as plants grow luxuriantly, nourished in favorable growing conditions. The premier requirement for this necessarily complex infrastructure are mindsets founded in Harmony. Widespread willing cooperation comes about most effectively under the conditions of freedom of thought where the individual contributes his or her wholehearted approval. 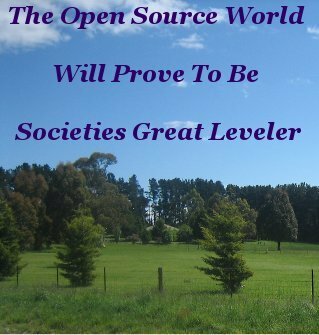 The open source world, by it's very nature of openness, provides this ideal platform. The benevolent, inspiring nature of sharing open source resources allows each individual to compete within the original meaning of the concept of competition. That is, taking part and contributing to something bigger than themselves. Encouraging everyone to willingly give of their best. Strengthening the infrastructure while-ever willingness to work together in harmony abounds. Maintaining perfect harmony must be a conscious effort, particularly at the beginning of new relationships. Invigoration of the Human spirit is a bonus product of this purposeful maintenance. If you work in a field that depends on involvement with others, and most of us do, build yourself a reputation as a willing cooperator and observe the Law Of Attraction kick in. 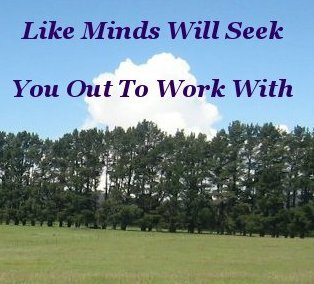 Like minds will seek you out to work with. As you will them. Practicing open source, sharing information, knowledge and resources with like minds is akin to attending a University which focuses on practical experience and outcomes. You are learning - and teaching - the very best way for a Human to learn. That is by observation and doing. Theory and practice blend, make sense, and allows a person to contribute to building something of lasting benefit to both one's self and one's fellows. Seemingly ironically, without being pursued, satisfaction and material rewards are the fruits of these worthwhile endeavors. Open source collaborative efforts are all creative. All requiring gobs of brainpower. All are ambitious, and all benefit the wider community as well as the immediate participants. 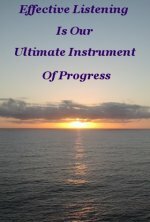 Opportunity for open source collaborative events not only abound but it is becoming crystal clear that this mode of operation is absolutely necessary for not only progress, but downright survival of our species. Presenting a prodigious opportunity for we Humans to finally get it right. The bright lights of the open source world beckons us, congruously, with wide open arms. Will we, individually and collectively, embrace it with warmth and sincerity in return? The Open Source World Rocks!